The third presentation in our winter speaker series, Making Waves in Coastal Conservation, features Dorie Stolley, Goldenrod Foundation’s Program Manager, who will speak about a familiar Plymouth summer resident: the Osprey or fish hawk. Her talk is on February 13 at 2 p.m. at Brewster Chapel, Church Street, Plymouth. Viewing this map of the location is highly recommended. A predator at the top of the food chain, Osprey were devastated by the use of the pesticide DDT, which caused reproductive failure. 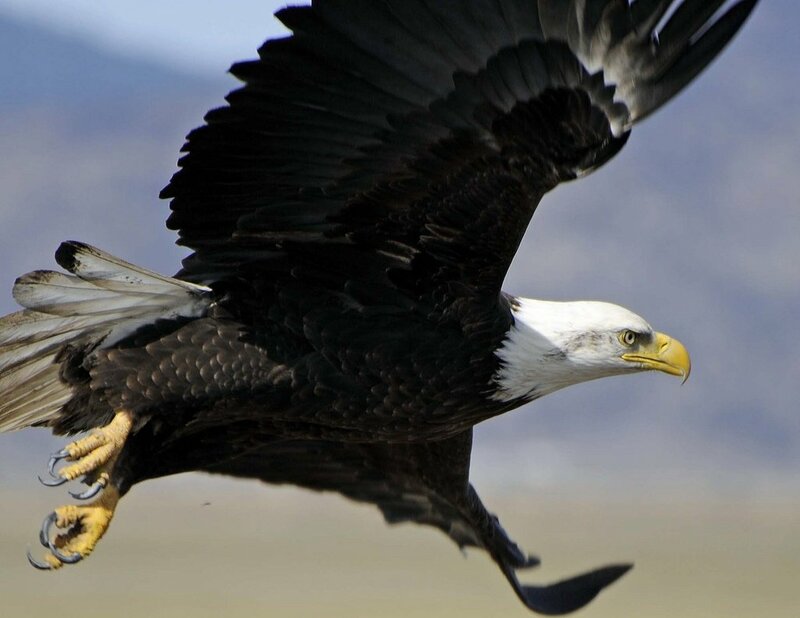 Once common along the coast, their numbers dropped precipitously along with that of our national emblem, the Bald Eagle. So, how were Osprey brought back from dangerously low numbers? What lessons can they teach us? And, what new technologies are being employed to learn more of their secrets? Those are the topics of Dorie’s presentation. 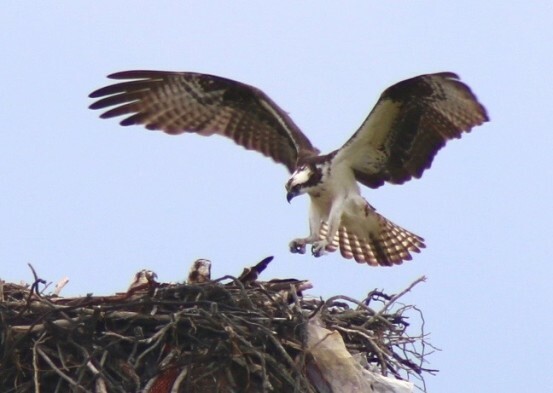 She will reveal the combination of one woman’s heroic literary effort, an outraged and impassioned citizenry, science, legislation and the ongoing service of ordinary (and extraordinary) people that served to bring back the Osprey. 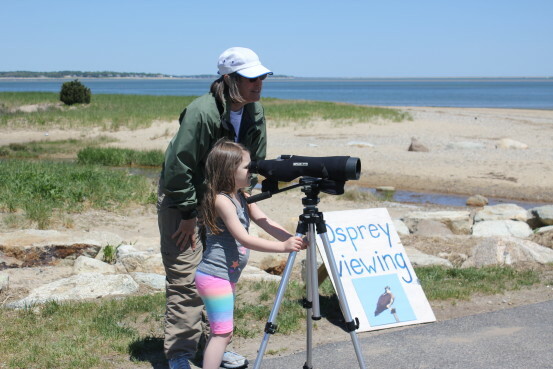 Dorie’s presentation will also showcase the innovative work of the Beach Ambassadors, Goldenrod’s volunteer corps members, who run an Osprey Viewing Station at Nelson Park in Plymouth in the summer. Aiming a spotting scope at the nest, the volunteers invite park visitors to get close up and personal looks at the Osprey family from nest building and incubation through the chicks’ growth and first flight. 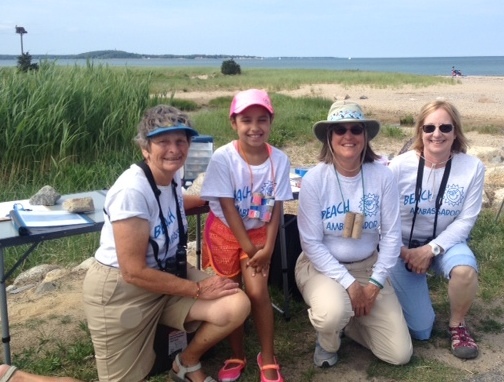 The initial “gee wow!” reaction often leads to the desire for more information, which the Beach Ambassadors are happy to provide, along with games and activities to promote nature appreciation, discovery and understanding. Dorie holds an M.S. in Wildlife Biology from Utah State University and an M.A. in Communication from Johns Hopkins University. She worked for the U.S. Fish & Wildlife Service as a refuge biologist for 12 years before leaving to start her own business, Three Birds Consulting, which specializes in outreach, education and community engagement pertaining to the natural environmental. She is a consultant for Goldenrod Foundation, a nonprofit committed to conservation of the coastal environment for wildlife and people. Dorie serves on the Town of Plymouth’s Open Space Committee, volunteers for PACTV, and is secretary of Six Ponds Improvement Association. Her hobbies include birding, kayaking, puppetry and spending time with the Three Birds – the youngest of her nephews and nieces. Pre-register below for the talk to receive an email reminder about it a few days before and a message if it is postponed due to snow. Photo at top by Gene Harriman.